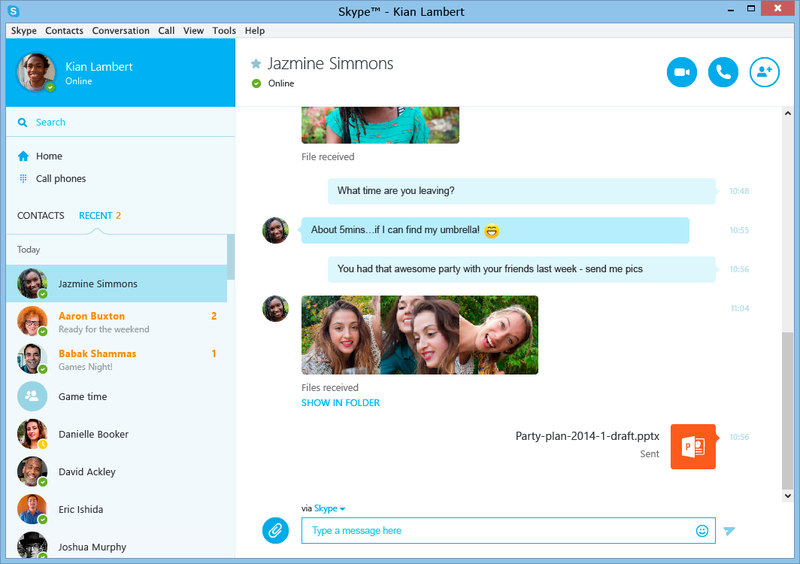 Skype has been quickly iterating its applications for Mac, Windows and mobile and today it announced Skype 7 for OS X and a preview version for Windows. The new version of Skype for the desktop resembles the mobile version of the app with a stronger focus on text chat and improved inline photo support. The Microsoft division also notes that it has improved the spacing in chats and contacts in the Windows version of the app. It’s also improved the process to enable text and picture messaging while on a video chat. It should now be easier to share photos while still talking to someone in real time, for instance. Finally, sharing files is easier with icons that now display the file type. You can download Skype 7 for Mac and the Windows preview version now.